Personalize this Bestseller with your own name and make a statement by adding the Swarovski crystal Birthstone of your choice to it. We manufacture this item in 18k Gold over Sterling Silver (0.925) and supply you with an elegant Cable Chain for free. You may select any birthstone that you wish from the list below: With just a little input from you, our artisans can create the perfect custom necklace! Our 18k Gold-Plated Silver and Swarovski Name Necklace offers lots of wonderful personal touches that come together in one unique, beautiful piece. The necklace is made with 18k Gold Plating over Sterling Silver (0.925) and is fastened via a Gold Plated Sterling Silver Cable Chain to match. 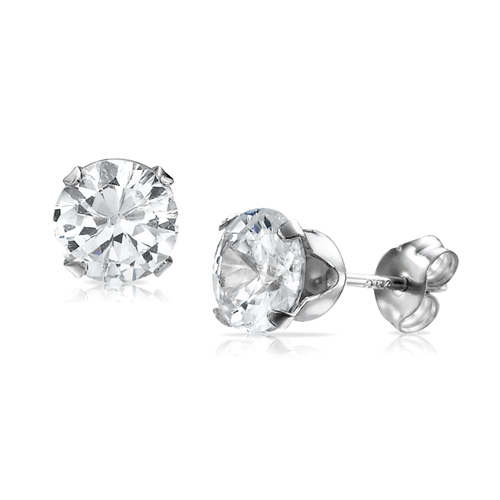 A genuine Swarovski Crystal birthstone adds the perfect touch of sparkle. It’s easy to customize this necklace for yourself or someone special. Simply choose a name or word containing up to ten characters and select your birthstone (or a stone in your favorite color) to accent the pendant. This beautiful necklace is also available in your choice of Sterling Silver. We invite you to visit our collection, where you’ll find the perfect personalized name necklace for yourself or that special someone who means the world to you! It looks beautiful and the quality is very good. My daughter absolutely loves it. Perfect gift for a young girl.